Privacy Policies | eFulfillment Service, Inc.
eFulfillment Service respects and understands our clients’ need for and right to privacy and security of information. We do not currently collect individually-identifiable information from our web site visitors, except when they provide that information to us as potential clients through completion our online “get a quote” page. 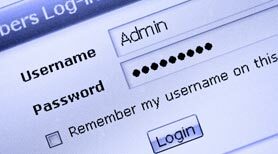 When prospective clients request a price quote using our online form, their responses are stored on our secure server. We hold and review the forms in order to reply to questions and, if the prospect decides to sign up as a client, to set up the account. Once the registration process is complete, clients access their password-protected accounts via our limited-access client login page. eFulfillment Service supports and complies with all laws governing its email communications and will update this policy as needed to ensure ongoing compliance. When we use third parties to assist us in processing your personal information, we require that they comply with our Privacy Policies and any other appropriate confidentiality and security measures. We share data with our authorized EFS partners, only to the extent necessary for them to perform a service for the client. If our information practices change at some time in the future, we contact the relevant parties before we use the data for those new purposes, to notify them of the policy change, and to provide them with the ability to opt out of these new uses. Our site contains links to other websites. We are not responsible for the content or the privacy practices employed by other sites.